Each year Inflow gives out a Hero Award to an Inflowee who goes above and beyond. Check out what made Bill P. our Hero this year! We are pleased to award Mason C. and Joe H. our 1st Annual Hero Award! 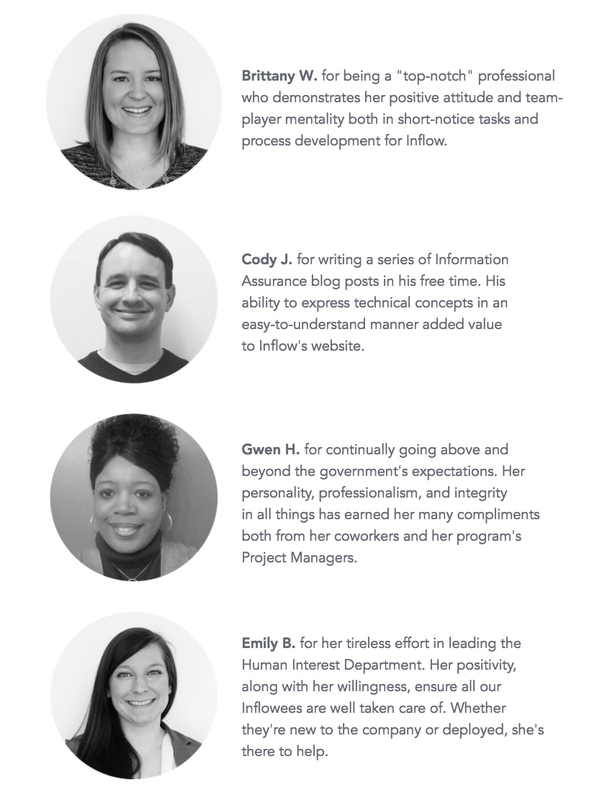 Inflow’s Hero Award is one way we celebrate and honor our Inflowees who go above and beyond and exhibit one or more of our company values: Action, Balance, Innovation, and Meaningfulness. This peer-nominated award is a way for Inflowees to support each other and recognize the hard work they're putting forth in their jobs. We believe successful people build each other up, and that's what we strive to do each day. 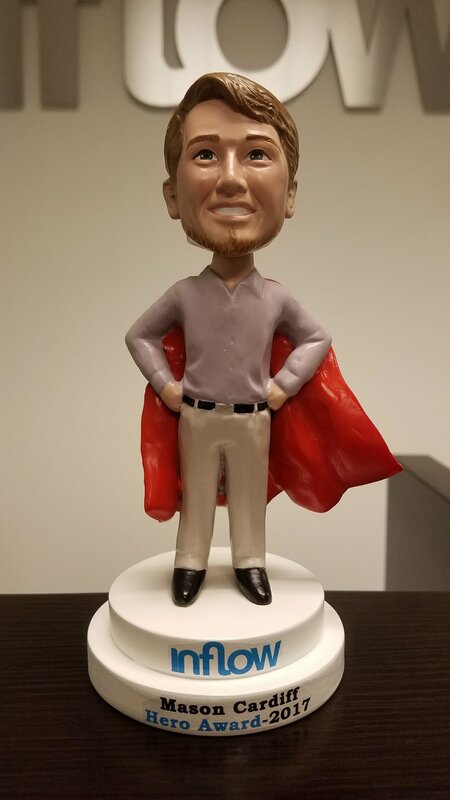 During Inflow's Fiesta Party, Mason C. and Joe H. received their Hero Awards - bobble heads made in their likenesses! Mason C. was nominated not once but twice! Mason's fellow Inflowees see him as a true team player with a positive attitude and an enthusiasm for his work that is infectious. Joe H. was nominated for his dedication to sharing his knowledge and expertise and for generously donating his time outside of work to write more than a dozen blog posts in 2016. We can't forget all of our other Inflowees, though. Award or not, if you embody the core values of Inflow, Action, Balance, Innovation, and Meaningfulness, you are a true hero. Check out other Inflowees who were nominated as heroes.